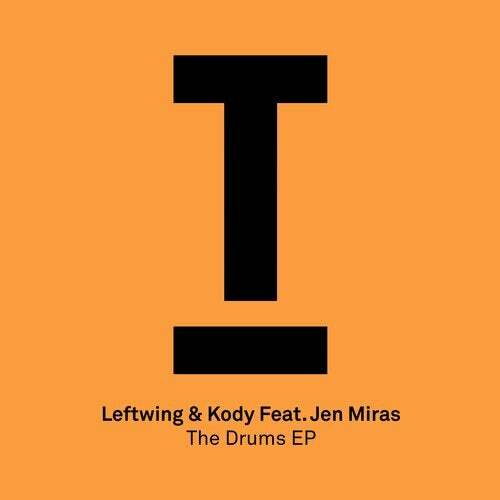 Since forming six years ago, Leftwing & Kody have established themselves as one of the UK's most exciting duos. From the immediate accolades supplied by both Mixmag and DJ Mag naming them as ?ones to watch? in 2013, to a nomination for the 'Best Breakthrough DJ' in the DJ Mag Best of British Awards, success has been consistent across all fronts. They have an impressive catalogue of music on scene-leading labels such as Hot Creations, Desolat, Moon Harbour, Relief and more and here we see them debut on Toolroom! 'The Drums' is a straight up, peak-time tech houser that's been a secret weapon in Mark Knights set's for the past few Months. Huge tribal drums lead the way with a savage, searing synth line and some quirky vocals, this is a sure-fire weapon! The flip takes a slightly darker approach with a more techno feel whilst Jen Miras once again provides some great vocal hooks ? An essential debut EP from 2 of the scene's most excising producers!